On any given day, 53 percent of Americans are eating a sandwich. Use these tips to make a healthier one! I'm a big fan of sandwiches, even though it seems that I eat them a lot more often on the go than at home! No road trip is complete without a sandwich stop, and I love the sandwiches that my local bodega puts together. 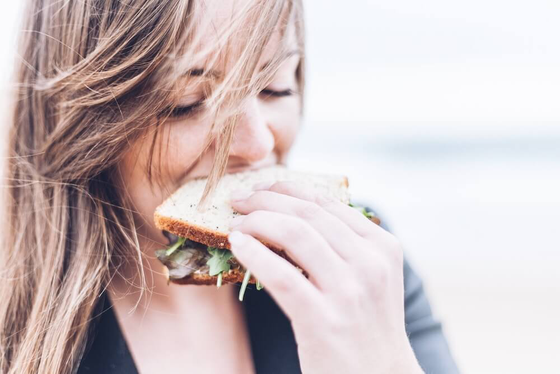 Whether you're making a sandwich at home or ordering one at the deli counter, recent research in Public Health emphasizes why sandwich eaters should make smart choices about what they eat between the bread. About a fourth of daily calories and a third of total fat, saturated fat, and sodium intake comes from sandwiches! 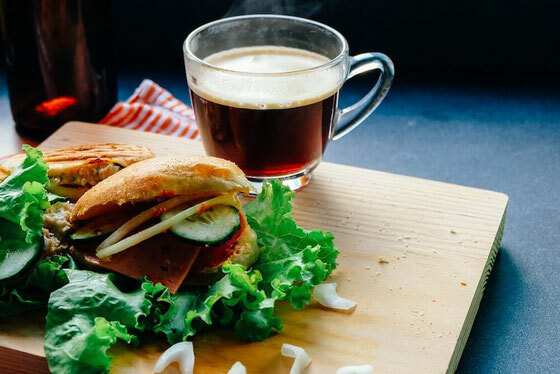 And in the study, having a sandwich was linked with a daily increase of 99 daily calories, 6.8 grams of fat, and 268 milligrams of sodium—as well as a small decrease in vegetable and fiber intake. Have an open-faced sandwich. Use one slice of bread as a base. This will cut about 80 calories from your meal! Pile on the veggies. I love adding spinach, alfalfa sprouts, cucumber, red onion, mushrooms, and other vegetables to my sandwiches. Use low-cal condiments. Spread on mustard, hummus, or a yogurt-based spread. Make sodium swaps. Place lower-sodium ingredients, like grilled chicken breast and fresh veggies, on your sandwich. Add fat in moderation. Healthy fat like avocado, olives, and olive oil are delicious on a sandwich. But choose just one to include! A version of this content originally appeared on WeightWatchers.com. What are your thoughts on this topic? What’s your favorite sandwich, and what are your healthy sandwich tips?